First Place Web Host has been hosting web sites and registering domain names since 1996. Serving the state of Arizona, including Flagstaff, Mesa, Tucson, Phoenix, and Scottsdale, we host some of the most visited sites on the Internet and have been growing at an astounding rate since our inception. 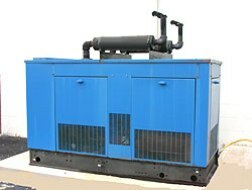 We heavily invest in our infrastructure to ensure that we provide top notch service for our business clients. The great thing about the internet is that someone, from anywhere in the world, can access your website while you stay put where you are. 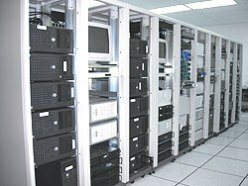 For that reason, your proximity to the datacenter that houses your server is not the most essential consideration when choosing a web host - whether you're looking for a robust dedicated server or starter web hosting service, you can, and will, maintain your website from the comforts of your office. You should always look for a hosting company that is in a secure location away from the threat of frequent severe weather. Just because you live in a hurricane-prone area doesn't mean your server has to - and it shouldn't! You need maximum up-time, and we're here to bring it to you! With servers based in the Mid-West, we are rarely subject to hurricanes, earth quakes, and much of the severe weather that frequently hits the East & West coasts. In the case of inclement weather, we have strategically positioned our datacenter within one mile of the corporate headquarters of our regional power company - putting us within their "priority area" when power is being restored. We regularly receive calls from hosting companies & webmasters that are looking for a more secure physical environment where their servers can be safe. Interested in co-location services? New customers not within driving distance of our datacenter routinely ship their servers to our offices to take advantage of our services and reliability!